I’ll admit it. I’m a total control freak. So, when it came time to think about the artwork for my new series, my first thought wasn’t about who to hire. After all, I designed all the covers in the Midnight Guardian series. I do have some professional graphic design experience. If you live in southern Ohio or western West Virginia, some time in the last two decades you’ve likely driven past a billboard that I created. I can drop shadow, gradiate, mask, powerclip, and manipulate fills and nodes like a fiend. Yet, I cannot hand draw. I even have trouble with straight lines. It’s completely sad. And that’s exactly what I wanted for this. Not straight lines, but original hand-drawn artwork. The main character, Eric Jansen, has an alien tattoo. He calls it his BRAND which stands for Biometric Remodeling Apparatus with Necessity Duplicator. The BRAND has some extraordinary built-it features. I knew that I wanted his tattoo to be the symbol for the series. I didn’t want a stock photo or clipart. I wanted original. And I got it with Joshua Labello. Josh went through an extensive audition process. No, that’s a total lie. I’ve known Josh since high school, but was always too embarrassed to ask if he’d consider doing artwork for me. You see, he owns Envy Ink, an upscale tattoo shop in southern Ohio. He is doing great things in his community like opening the shop up to salon evenings where he features local musicians and running contests for people to get free tattoos to help cover traumatic surgery scars. His work in so important. How could I bother him with this? I had visions of him laughing in my face. The conversation in my head went something like this. 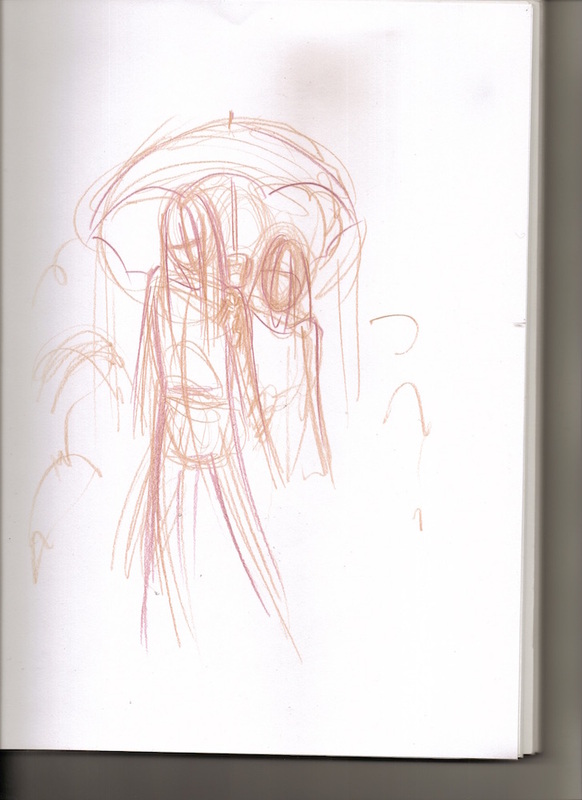 Me: Josh, would you consider drawing a cover for my next book? Josh: Sure, what’s it about? Me: (biting my lip) Ummm. The mothman, but he’s a teenager…and he’s a drummer in a garage band…and lives in a giant spaceship over a park in Point Pleasant. Me: There’s paranormal stuff, but it’s explained by science. So, it’s sci-fi, but like Doctor Who. Yeah, and that’s pretty much where the scenario ended in my imagining. 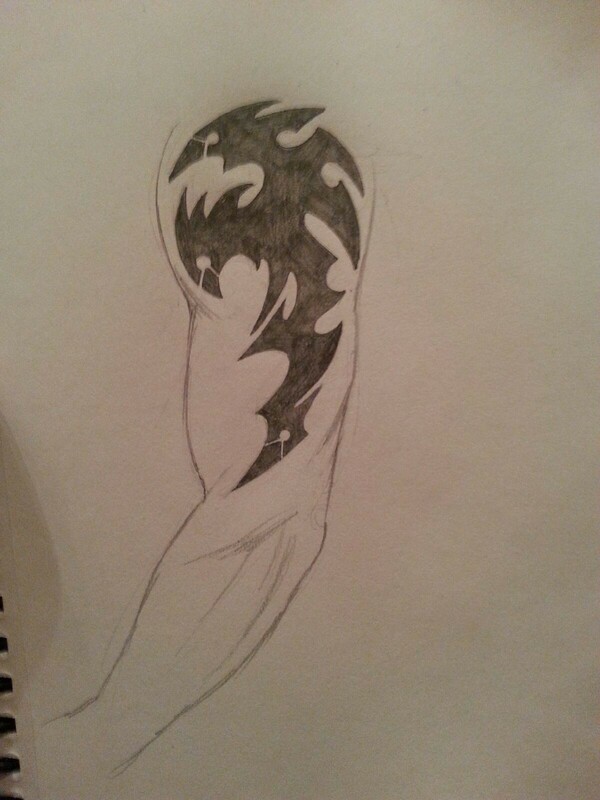 Still, I couldn’t shrug off the idea of having an actual tattoo artist design the tattoo for my series. So I gathered up my courage and asked. To my absolute surprise, Josh wanted to design my covers and wondered why I had never asked him. He was excited about the project, and I think you will see that in his work. I gave him little to go on, not wanting to stifle his creativity. 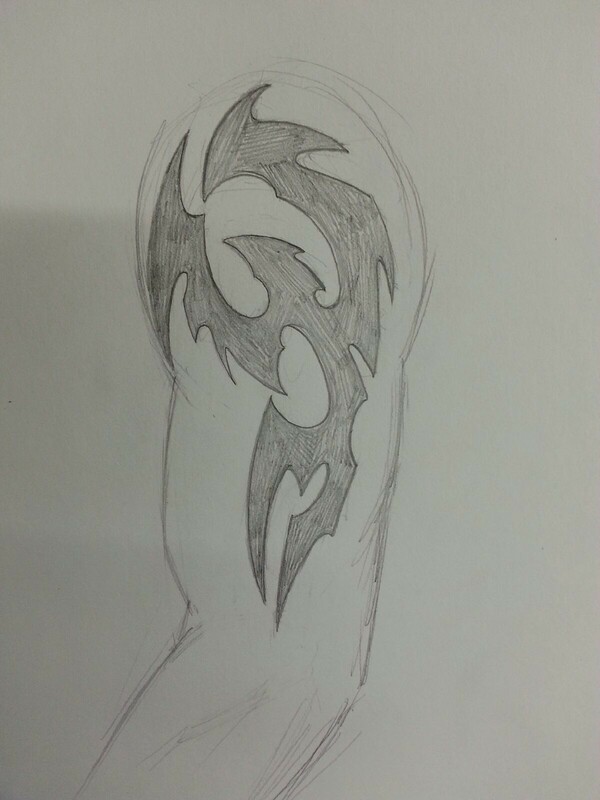 For the tattoo, I wanted something that had a tribal, yet sci-fi, feel. All black, no color, so that it could be more than a tattoo. It would be the symbol of the series. These were the first two versions I liked the look and feel with it’s curves and sharp edges. 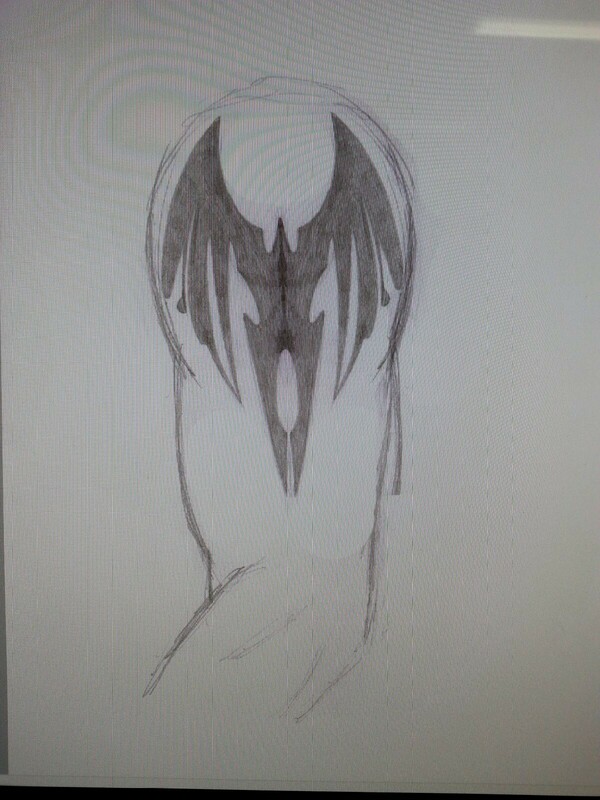 Eric’s tattoo has three distinct sections: wings, eyes, and legs. Each section has a function. So, Josh went back to paper to define those. This was the next version. 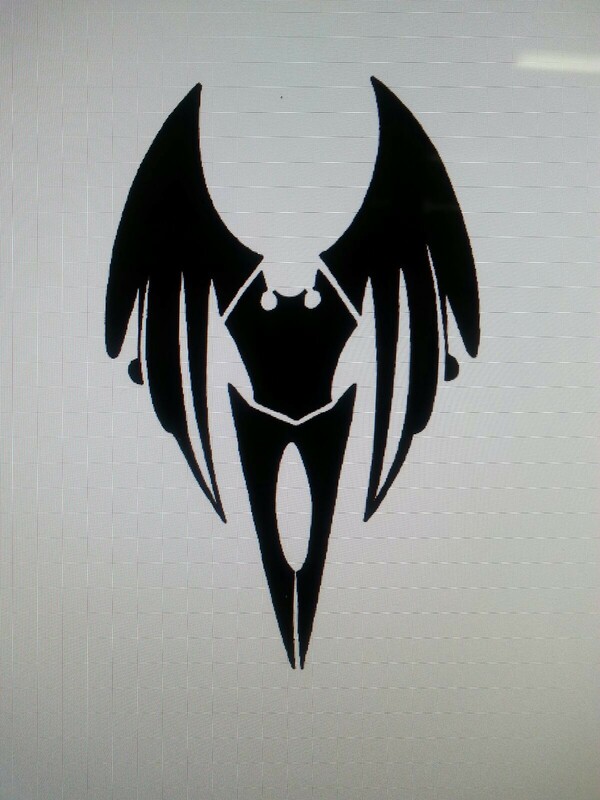 Less abstract with clear wings and legs. I asked him to place eyes, but where? The legend of Mothman notes that he has large red eyes at his shoulders. Josh placed them there, then like a total genius, separated the three sections. I had never thought of that, but it made total sense as each section has its own function. The final tattoo was perfect. Check back for my next post on the evolution of the cover art, then we’ll dive into the playlist for the first book of the series. In the meantime, take a look at the Mothman Mysteries page for goodies. Don’t forget to pick up your free sample chapters at Smashwords.